Golfing, the best way of practicing it with the best views you might expect. In The Canary Islands you can find many golf courses with all the commodities you could wish for and, usually, close to the best, most famous touristic destinations. Golfing in the Canary Islands is an unique experience as it will allow you to relax, enjoy beautiful landscapes as well as take some moderate sun, 365 days a year. If you’re looking for great deals to play golf in the Canary Islands you should buy your golfing session online. You might even book a trainer or engage on some training lessons if you’re a beginning looking for some instructions to learn this sport. 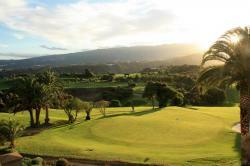 The best golf courses in the Canary Islands are in Tenerife, Gran Canaria and Lanzarote. 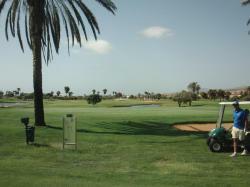 If you’re looking for some time on the green find out the best golf courses and conditions in Lanzarote. Find out where and how can you practice this relaxing enjoyable sport. 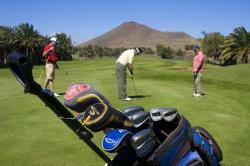 Find out the best golf courses in Fuerteventura. 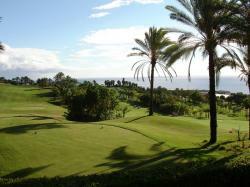 ind the perfect “green” for your holidays in La Gomera.